Located on the southeastern coast of Africa, Mozambique has an area of 309,496 square miles (801,590 square kilometers), slightly less than twice the size of the state of California. Mozambique is 44% coastal lowlands. The most important rivers are the Zambezi, the Limpopo, the Save (Sabi), and the Lugenda. The most important lake is Lake Malawi (also called Lake Niassa). Thick forest covers the wet regions, but the drier interior has little vegetation. As with the dense forest elsewhere in the world, Mozambique has lost 70% of its forests. Wild animals, such as elephants, buffalo, wildebeests, zebras, hippopotamuses, lions, crocodiles, and over 300 varieties of birds, roam the country. In some areas there are problems with the purity of the water supply. Some of the earliest inhabitants of present-day Mozambique were small groups of hunter-gatherers, often called Bushmen. These nomadic groups traveled from one place to the next in search of seasonal fruits, vegetables, roots, and seeds. To supplement their primitive diet, the groups would also follow herds of wild animals such as impala (an African antelope) and buck, killing them with poisonous bows and arrows. Permanent settlements were never established because agriculture (cultivating land to produce crops) was not practiced. were established to collectively grow maize (similar to corn) and other grains. Arab merchants, who arrived in sailing ships called dhows , set up some of the first trading posts in the 700s. They brought with them various items, including sal (salt), essential in preserving foods such as meat. In 1498, a Portuguese explorer named Vasco da Gama landed at Mozambique on his voyage to India, quickly establishing Portuguese ports and introducing foodstuffs and customs to the Mozambican culture. Ruling for nearly 500 years, the Portuguese greatly impacted the cuisine of Mozambique. Crops such as cassava (a starchy root) and cashew nuts (Mozambique was once the largest producer of these nuts), and pãozinho (pronounced pow-zing-yo; Portuguese-style bread rolls) were brought in by the Portuguese. The use of seasonings such as onions, bay leaves, garlic, fresh coriander, paprika, chili peppers, red sweet peppers, and wine were introduced by the Portuguese, as was sugarcane, maize, millet, rice, sorghum (a type of grass), and potatoes. Prego (steak roll), rissois (battered shrimp), espetada (kebab), pudim (pudding), and the popular inteiro com piripiri (whole chicken in piri-piri sauce) are all Portuguese dishes commonly eaten in present-day Mozambique. Combine all the ingredients together in a saucepan and heat on low for 5 minutes before serving. Serve with cooked shrimp. Piri-piri may also accompany chicken, seafood, and most meats. Dissolve the yeast in ½ cup of the water with ½ teaspoon sugar added. Let stand for 5 minutes, or until bubbly. Place in a large bowl and add enough flour to make a batter. Cover the bowl with a cloth and blanket and let stand until it forms bubbles and looks lumpy. Add the remaining ingredients and mix well, kneading well until smooth, about 10 minutes. Add more flour if dough is too soft. Cover again with cloth and blanket and let stand in a warm place until doubled in size. On a floured board, using about ⅓ cup dough for each bread roll, shape into round balls and let rest on a cloth dusted with flour. After all rolls are shaped, beginning with rolls that were shaped first, flatten each with palm of hand, making an indent in the middle with the side of your hand, then fold in half. Lay each roll on the cloth with open side down. Let rolls rest for 5 minutes. While rolls are resting, preheat oven to 500°F. Place rolls on baking sheet with open side up and lightly brush with milk. Bake in oven for 10 to 15 minutes. The cuisine of Mozambique revolves around fresh seafood, stews, corn porridge (maize meal), arroz (rice), millet (a type of grain), and mandioca (cassava). Meats such as bifel (steak) and frango (chicken) are often accompanied by beans, cassava chips, cashew nuts, coconut, batata (potatoes), and a variety of spices, including garlic and peppers (a Portuguese influence). Seasonal fruta (fresh fruit; Mozambique's papaya and pineapples are known as some of the juiciest in the world), puddings made of fruits and rice, and fried balls of flour paste (similar to doughnuts), most often accompanied by Mozambican chá (tea), make a delicious ending to any meal. In the mornings for pequeno almoço (breakfast), tea and coffee are commonly sold with sandwiches made of ovos (egg) or fresh peixe (fish), or a slightly sweetened bread-cake. The pequeno almoço is usually light, however, as the main meal of the day is normally almoço (lunch) at midday. Those who work in cities and towns often purchase almoço from food stalls (also called tea stalls), which are located on roadsides, bus stations, and markets around town. Pregos (steak sandwiches), burgers, fried chicken, meat stews, and rice are typical fare available from the stalls. Fresh seafood from off the coast of Mozambique is abundant and is considered some of the most delicious food available. It is sold nearly everywhere from street stalls to city restaurants, though it is more available near the coast. Fresh fish, prawns (similar to shrimp), calamari (squid), crab, lobster, and crayfish are often served with arroz (rice) or batata fritas (fries, known as chips). Matata , a seafood and peanut stew, is a typical local dish. Rice topped with sauce, spicy stew, fresh fruit (such as pineapples sprinkled with sugar and cashew nuts), and posho (maize porridge) are common lunches for children. Toasted cheese sandwiches ( sandes de queijo ), commonly sold at stalls, and chips (fries) are other favorites. Aside from the widely served coffee and tea, adults may enjoy locally brewed beer made from maize, a Mozambican staple food. The thick and sweet drink is often drunk from a common pot and shared by everyone present on special occasions. Madeira, a Portuguese wine that is popular in Mozambique, was extremely popular in America during the colonial era—it was a favorite of George Washington and was used to toast the Declaration of Independence in 1776. Children often prefer such beverages as carbonated soft drinks and fresh fruit juices, which are sometimes imported from the country of South Africa. Bring 3 cups of the water to a boil in a large pot. Combine 1½ cups of the cornmeal with the remaining 1 cup water. Reduce heat to low and add the cornmeal mixture to the boiling water, stirring constantly with a wooden spoon. Cook for about 5 minutes, slowly adding the remaining cup of cornmeal. When the mixture is very thick and starts to pull away from the sides of the pan, transfer to a serving bowl or plate. Use a spoon to shape the mixture into a round ball (you may also use wet hands). This stiff porridge is popular throughout Africa and is typically used to scoop up sauces and food from plates. Slice the roll in half, but do not cut all the way through. Open the roll and place 2 to 3 slices of cheese on top of the bottom half. Add ham slices if desired (ham often accompanies cheese on sandwiches in Mozambique). Close the roll and place on a cookie sheet in the warm oven. Bake until cheese is melted, about 5 minutes. Sauté onion pieces in a small amount of olive oil in a saucepan over medium-low heat. Cook until onions are softened, but do not brown them. Add the chopped clams, peanuts, tomatoes, salt, black pepper, and a pinch amount of red pepper (it is spicy). Over low heat, simmer for 30 minutes. Cover tightly; as soon as leaves are withered, matata is ready to be served. Dissolve the yeast in the ⅓ cup warm water and 1 teaspoon sugar; stir. Let stand until foamy (several minutes). Combine the flour, sugar, and salt in a large bowl. Mix in the cream and water. Beat the 8 eggs in separate bowl. Add the beaten eggs and melted butter in with the rest of the ingredients to the flour mixture. Add the dissolved yeast mixture and stir well to form a soft dough. Cover and put in a warm place. Let stand until double in size, about 1½ hours. Drop by spoonfuls into deep, hot oil and fry until light brown. Remove, using a slotted spoon, and drain on a rack with paper towels. Coat with sugar, if desired. Makes 5 dozen small doughnuts. 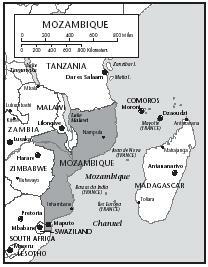 The religions practiced by the people of Mozambique are Islam, Christianity, and African indigenous beliefs. This is a result of the various cultures that have dominated the country throughout its history. Arab traders introduced the religion of Islam, the dominant religion of their Middle Eastern origins. The Portuguese, led by explorer Vasco da Gama, made one of their missions to spread the idea of Christianity on their voyage to India at the end of the 1400s (bringing spices and various riches back to Portugal was the other mission). At the beginning of the twenty-first century, roughly 60 percent of the population practiced a form of traditional indigenous religion, 30 percent are Christian, and about 10 percent are Muslim. Some Christians and Muslims also choose to practice their traditional indigenous beliefs. The strong Christian presence throughout the country makes Christmas a very special time. Portuguese songs are rehearsed, costumes are designed for children participating in Mozambican celebratory dances, and decorations are made to hang on Christmas trees. A dove (symbolizing peace) and a cross form Mozambique's logo for the Christian Council and is often found on trees during Christmas time each year. Those who can afford a nice holiday meal will often have an entrée of meat, accompanied by rice, a vegetable, fresh fruit, and fancy pastries or cakes for dessert. Those closer to the coast will usually eat garlic shrimp or other seafood delicacies. The very poor often receive a food donation of rice, oil, and beans from various organizations. Christmas Day is also called Family Day in Mozambique. Secular (non-religious) holidays are also widely celebrated throughout the country. Often on these days, families and close friends gather together to enjoy a large meal. 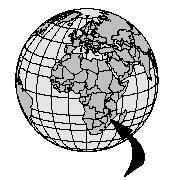 Some of these days include New Year's Day on January 1, Independence Day on June 25, and Maputo City Day in Maputo on November 10. On such special occasions, bolo polana (a cashew nut and potato cake) is a Mozambican favorite. Beat the 5 eggs in a bowl. Warm the milk in a microwave, and dissolve the yeast in the warm milk. Let stand for 5 minutes. Add the yeast mixture, beaten eggs, and brandy or vanilla to the flour mixture. Knead until the dough is smooth and elastic (about 10 minutes). Place the dough into a greased bowl, cover with a cloth, and let rise in a warm place until doubled in size (about 2 hours). Punch down on the dough and roll out onto a floured board (with a rolling pin) until about ¼-inch thickness. Cut into ½-inch wide and 2-inch long strips. Fry in hot oil for 2 to 3 minutes until crisp and golden brown, then drain on paper towels. Dissolve the honey in hot water and drip the fritters in the mixture until coated. 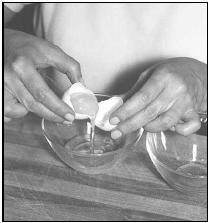 To separate the eggs for Bolo Polana (Cashew Nut and Potato Cake), transfer the egg yolk back and forth between the two eggshell halves, letting the white drip into the bowl. Boil the potatoes uncovered until they are soft enough to be easily mashed with a fork (about 15 minutes). Drain and return to the cooking pot. Thoroughly mash the potatoes with a fork or potato masher (or electric mixer). Set aside to cool. Grease well the bottom and sides of a 9-inch springform cake pan. Dust the pan evenly with flour. Turn pan over and tap on surface to remove excess flour. In a large bowl, mix the 3 sticks of softened butter and 2 cups of sugar together using a wooden spoon or electric mixer until light and fluffy. Add the potatoes, cashews, and lemon and orange peels; mix well. Add the egg yolks one at a time and continue to stir until well blended. With a whisk or electric blender in a separate bowl, beat the egg whites until stiff. Slowly and gently mix the egg whites into potato mixture, using a spatula. Pour the batter into the pan, smoothing the top with a spatula. Bake for about 1 hour, or until top is brown. Let cool for 5 minutes, then remove the cake onto a wire rack. Serve cake while it is slightly warm or at room temperature. The midday meal is typically the main meal of the day for Mozambicans. However, jantar (dinner) may be the main meal for those who can afford to feed guests on special occasions. Traditional African customs often combine with those influenced by the Portuguese, making for a unique dining experience. The Portuguese influence is felt most often in the dinner's arrangement. Unlike the custom in many African countries, dinner is usually presented on a table with accompanying chairs, rather than having the guests seated on the floor. An embroidered tablecloth and napkins will likely adorn the tabletop, along with individual plates, eating utensils (many African countries prefer eating with the hands), and Portuguese wine. The most commonly served food largely reflects that of African origins, with Portuguese wine and piri-piri (hot pepper relish) being major exceptions. Soup is a popular appetizer eaten before the main meal, often consisting of a popular vegetable such as corn, squash, or green beans. A ladle is used to transfer the soup into decorative soup bowls. Salads, such as tomato and avocado, are served with the main entrée (usually without bread). Fresh seafood, meat, poultry, or matata (seafood and peanut stew) served with rice is most commonly served as the main dish. Condiments (such as piripiri , cashews, and coconut milk) and other spicy sauces may accompany the dish. Those with less money often stick to more simple staples, such as corn porridge and beans. Dessert, usually fresh fruit, pudding, or small pastries (such as fried dough) is normally eaten in a more casual, relaxed atmosphere (such as a living room). Tea, coffee, and wine are usually offered to the guests while enjoying conversation and Mozambican music. Combine the instant potatoes, onion powder, water, and tomato sauce in a saucepan over medium heat; stir well and bring to a boil. Add the sliced green beans to the potato mixture in the saucepan. Simmer until the beans are cooked. Serve in bowls or large soup plates. Distribute and arrange the chopped lettuce, tomato, and avocado slices on 8 salad plates. Top with lemon and herb dressing (other salad dressing may be substituted). 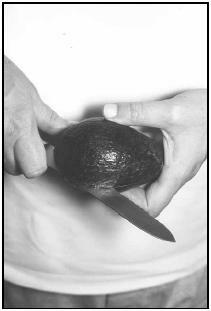 To prepare the avocado for Salada Pera de Abacate (Tomato and Avocado Salad), first slice all the way around the avocado. Then twist the two halves to separate them and expose the pit. Beat all the ingredients together in a mixing bowl and serve over salada pera de abacate (see recipe). About two-thirds of the population of Mozambique is classified as undernourished by the World Bank. This means they do not receive adequate nutrition in their diet. Of children under the age of five, about 16 percent are underweight, and over 20 percent are stunted (short for their age). A campaign to provide Vitamin A supplements to all Mozambican children under the age of five years was launched at the beginning of the twenty-first century. In cooperation with organizations such as the National Agricultural Research Institute and UNICEF, the country's Health Ministry distributed Vitamin A-rich sweet potatoes with orange pulp to local children. Vitamin A will be administered to these children every six months during their normal check ups to prevent blindness. In addition, iodine deficient children under the age of 14, who may experience malfunctioning of the brain and central nervous system, will be provided with iodine capsules. As the twenty-first century began, an outbreak of Cassava Brown Streak Disease threatened the cassava crop, a Mozambican staple, according to the Famine Early Warning System (FEWS) Network. Briggs, Phillip. Guide to Mozambique . Old Saybrook, CT: Globe Pequot Press, 1997. Else, David. Malawi, Mozambique & Zambia . Victoria, Australia: Lonely Planet Publications Pty Ltd., 1997. Hultman, Tami. The Africa News Cookbook . New York: Viking Penguin Inc., 1987. Slater, Mike. Globetrotter Travel Guide—Mozambique . London: New Holland Ltd., 1997. Southern Africa , 2 nd ed. Victoria, Australia: Lonely Planet Publications Pty Ltd., 2000. AllAfrica.com. [Online] Available http://www.allafrica.com (accessed March 30, 2001). Cooking Around the World—Mozambique. [Online] Available http://members.tripod.com/~WrightPlace/caw-Mozambique4.html (accessed April 10, 2001). Famine Early Warning System (FEWS) Network. [Online] Available http://www.fews.net/ (accessed April 6, 2001). Getaway to Africa. [Online] Available http://www.getawaytoday.com/gateway_article.asp?FEATURE_ID=465 (accessed April 5, 2001). Mozambique: Menus & Recipes from Africa. [Online] Available http://www.sas.upenn.edu/African_Studies/Cookbook/Mozambique.html (accessed April 6, 2001). RecipeCenter.com. [Online] Available http://www.recipecenter.com (accessed April 9, 2001). I was glad you gave much of the information I needed for my project! Thank you!